This design is our response to a PFI Competition Bid for a prominent New Community Hospital and Health Centre in St Andrews. The hospital comprises of a three practice medical centre with 26 consulting rooms and associated accommodation, a minor injuries unit, an x-ray unit, a diagnostic and treatment centre, a 40 bed in-patient department and office and administration section. The general experience of many hospital buildings is often the negative one of artificially lit corridors. This can be a depressing, and for some a bewildering experience, and we set out as a high priority at St Andrews to produce a circulation system that was legible to those entering the building for the first time. Most journeys are day lit and circulate adjacent to the outside. Whilst highly mindful of all the adjacencies that need to be satisfied, we consider that the quality of the 'patient journey' is crucial. 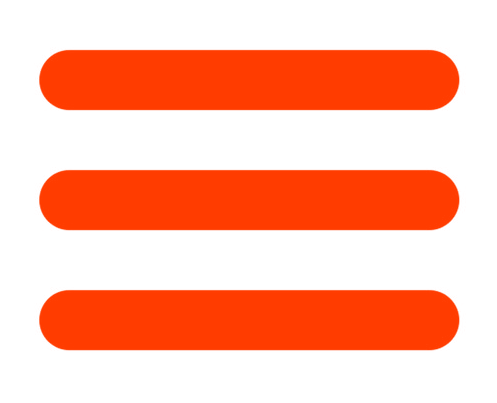 In understanding the building, there are clear hierarchies of space. 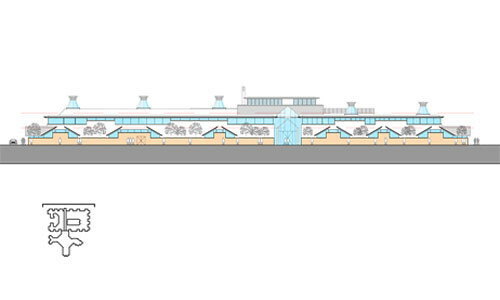 The plan makes a major front elevation to the north with a public entrance placed centrally under a porte cochere. 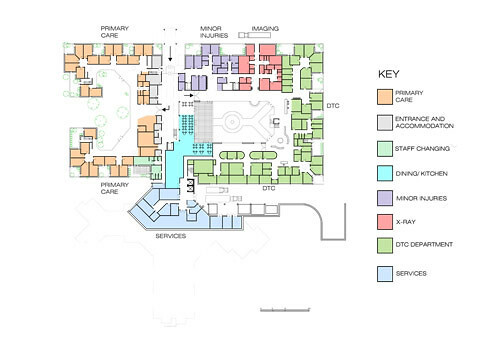 The internal organization of the hospital revolves around a top-lit north/south atrium from which all major departments are accessed. 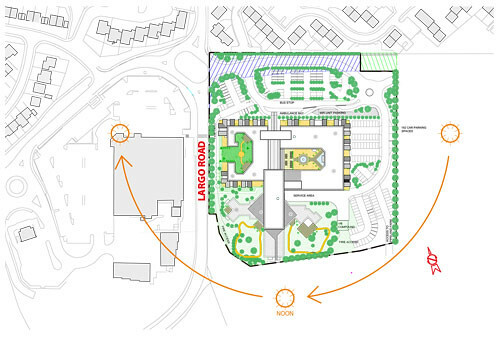 To the west is a two storey primary care facility (levels 0 & 1), organized around its own garden which is open to the west elevation, thereby breaking down the building on the Largo Road into what appears to be two separate pavilions. To the east is a two storey diagnostic treatment centre, containing all the other outpatient facilities, including day surgery. 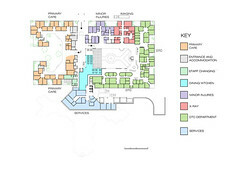 The 'courtyard garden' concept was one of the key elements of our design concept, based as it is on the priority we give to placing a high-quality, natural environment right into the heart of the building, to enhance the quality of the accommodation from patient, staff and visitors' point of view. 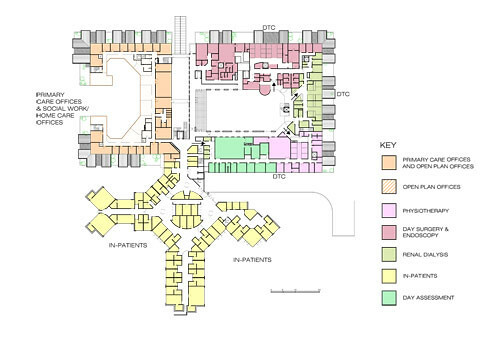 To the south of the north south atrium, the hospital is raised one storey on the natural topography of the site so that inpatient wards are placed at ground level which is level one elsewhere in the hospital. 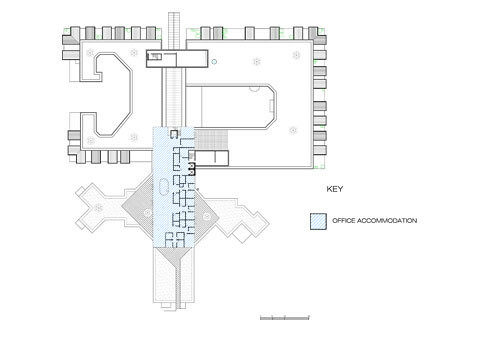 The inpatient wards are arranged in a configuration of three wings going out into the landscape. 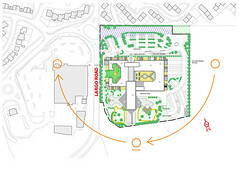 This part of the site faces south, and is also the quietest boundary condition and will allow all of the wards to connect directly to south facing gardens. At Level 2 above the inpatients is a small office space for administration & others. In order to bring in natural light we proposed a number of roof lanterns which incidentally chimes with the roofscape of St Andrews, and these roof lanterns penetrate through the first floor level and accumulate as a distinctive roofscape, which while remaining beneath the 50m contour contribute to the towers and spires of St Andrews skyline, but in a new way giving the hospital a new silhouette.